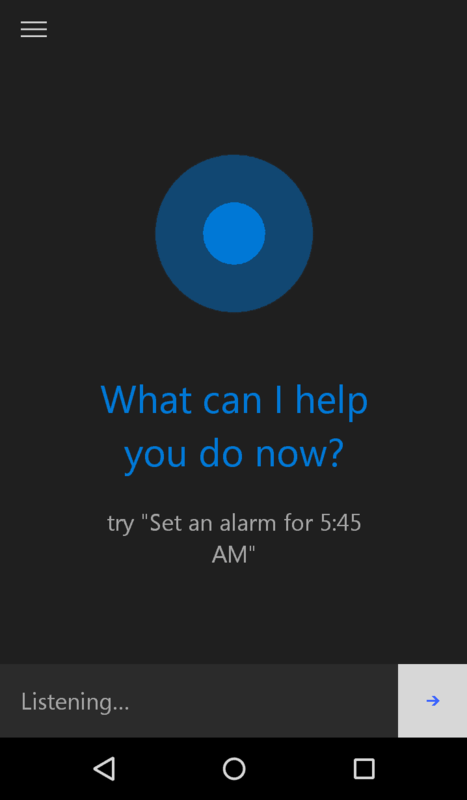 The Android beta of Cortana, Microsoft’s virtual assistant, is supposed to take place sometime this month but eager users have to wait no more as the first APK has been leaked and is now available to all. The app is fully functional, works on many Android devices and seems to have most of the features of the official app already. Once you download and install the APK you will have to go through a brief setup process which involves telling Cortana your name and signing into your Microsoft account though that last step is optional. 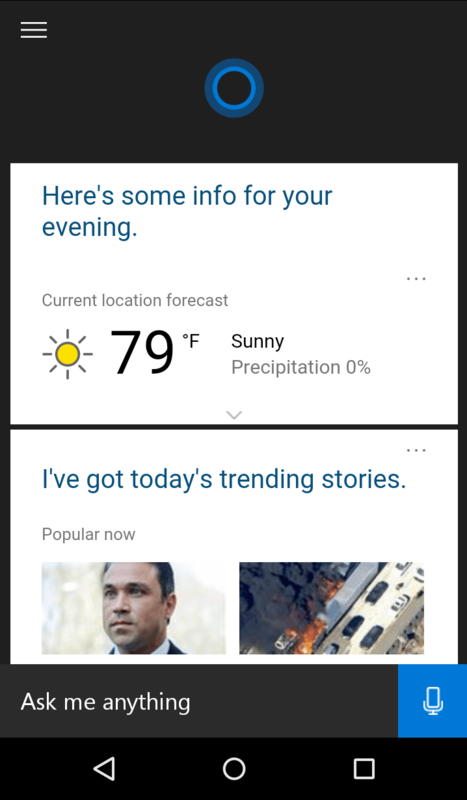 The virtual assistant can give you all kinds of information including weather and news reports in an interface similar to Google Now. The UI looks perfectly fine to me with the now famous circle in the top side and a white area for your searches and commands taking most of the remaining space. Voice commands work great as well though some features seem to be either unfinished or deactivated right now. 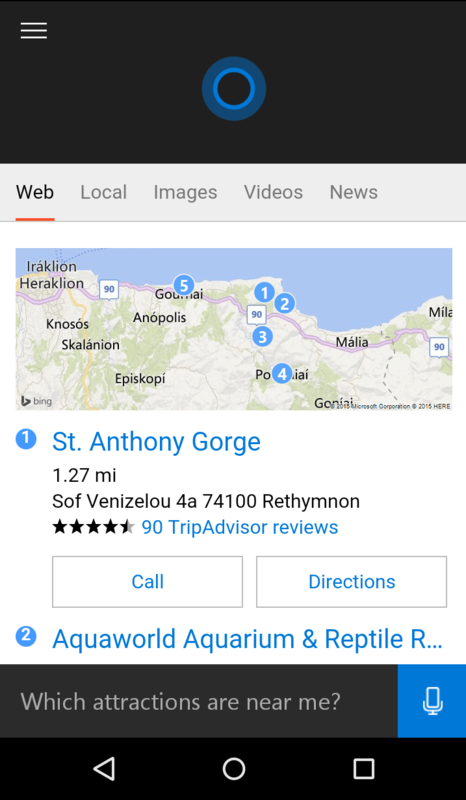 Searches are probably the best part as Cortana’s voice recognition system is absolutely fantastic and the app can easily chain searches together so you can ask it about a place and then ask it to show you a list of local restaurants without a hitch. You can also command the app to initiate calls, create calendar events, send messages and more. Do note that Microsoft has not issued a statement about the leak yet and no one knows which version of Cortana this APK represents. It is highly likely that this is the beta version that will officially arrive soon but even then, bugs and unfinished features are to be expected. The virtual assistant’s biggest selling point for me is the possible interactions with Windows but we are going to have to wait on those features for a while. 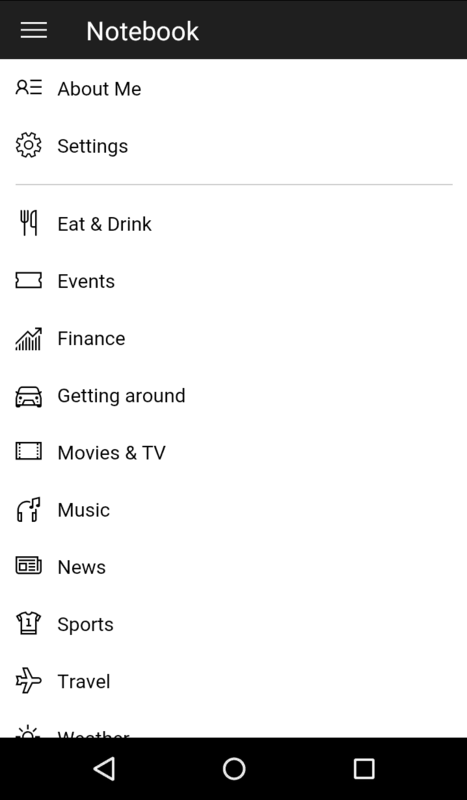 If you cannot wait for the official release, you can download the Cortana APK right here.